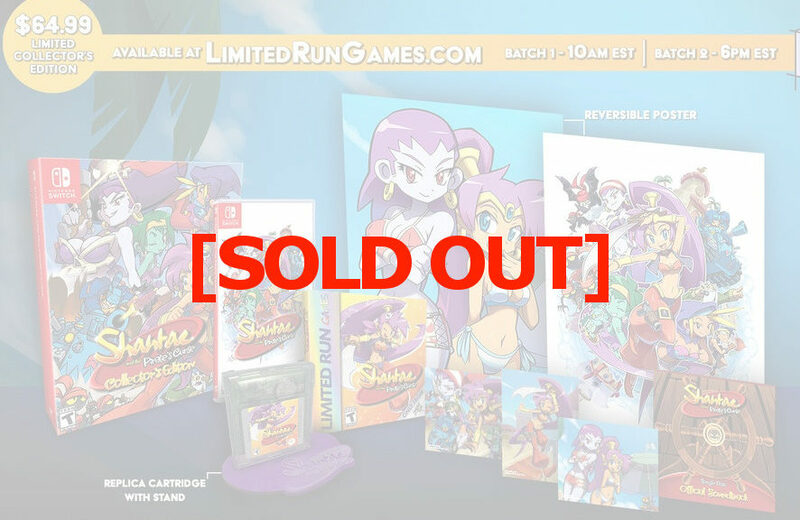 At 10am ET today, Limited Run Games’ 2,900-print run of the Shantae and the Pirate’s Curse Collector’s Edition went up for preorder. However, it did not last for long. According to our count, the collector’s bundle went out of stock in just over two minutes – just like Yooka-Laylee several months ago. It just goes to show how huge Shantae’s fan-base really is. A second batch of preorders for the collector’s set will still be going up at 6pm ET today. A standalone physical release of the game can also be preordered over here for two more weeks.